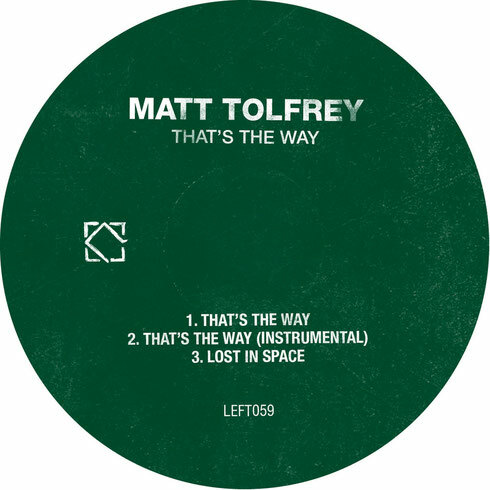 Matt Tolfrey returns to his Leftroom imprint with new single ‘That’s The Way’. 2015 has been a decent year for Matt with him marking a momentous point in his career with the ‘fabric 81’ mix compilation plus a release from Skream’s Of Unsound Mind imprint. This year will also see the Leftroom imprint mark a milestone ten years actively releasing music and here the label’s founder delivers some fresh original material ahead of the celebrations. Title cut ‘That’s The Way’ kicks things off and sees Matt deliver a raw acid tinged workout fuelled by intricately evolving rhythms, squelching 303 licks, sporadic vocal hooks and hypnotic pad lines. The Instrumental Mix follows and as the name would suggest lays the focus solely on the upfront rhythmic and synthesised elements. Lastly to round off the package he delivers ‘Lost In Space’, first heard exclusively on the recent fabric mix, an ethereal B-Side number employing dreamy soundscapes, bumpy broken rhythms, soft stab sequences and a throbbing acid bass undercurrent.